IN TIMES WHEN BOOKS WERE THE ONLY SOURCE OF KNOWLEDGE AND TANGIBLE TRUTH, RIPPING OUT A PAGE FROM A BOOK WAS A SIMPLE ACTION, BUT FOR SOME PEOPLE IT COULD BE SEEN AS SOMEWHAT DISTURBING. PEOPLE WOULD CONSIDER IT A SIGN OF DISRESPECT TO THE NOBILITY OF CULTURE. OTHER PEOPLE WOULD SEE THIS AS A LIBERATING GESTURE, ESPECIALLY COLLAGE ARTISTS SINCE THIS IS HOW THEY EXERCISE THEIR ART. Collage is a form of visual art where cutting, patching, and assembling are at the core of the final product. Pieces of paper, scratchy surfaces, and smooth textures -- all the best and essential tools for a collage piece. Collage is a fairly new artistic practice, though. Creatives and new aficionados in the collage community can nowadays find welcoming galleries and groups who are able to support and show their pieces. New York City houses one of these centers: the Brooklyn Collage Collective. 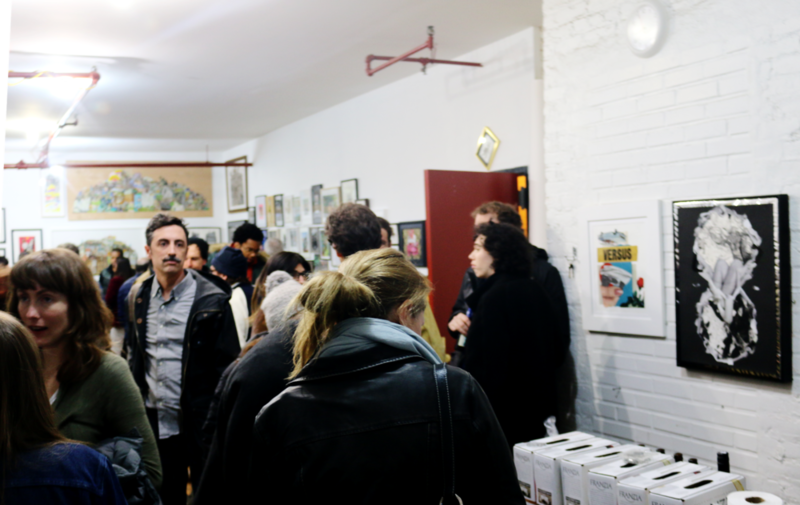 On April 19th, the Brooklyn Collage Collective (BCC) hosted its opening event for the Website/Online Shop Launch Show, featuring more than twenty local artists in Brooklyn, NY. Founded in 2013, the Collective aims to make collage a well-known medium in the arts. Filmmaker and collage artist Maddie Goldberg, 21, showed notable enthusiasm when it came to describing the Collective. A Connecticut native, Goldberg started making collages back in high school when she was 18. Once she moved to New York, she joined the Brooklyn Collage Collective and found them very inspiring. Coming across the BCC profile on social media and finding this creative home was definitely a profound experience for Goldberg. She sees collage as a "meditative process as well as a creative process," to which she "was hooked instantaneously." Through the medium of collages, Goldberg expresses herself and constantly discovers new media with which she can create original and diverse art. 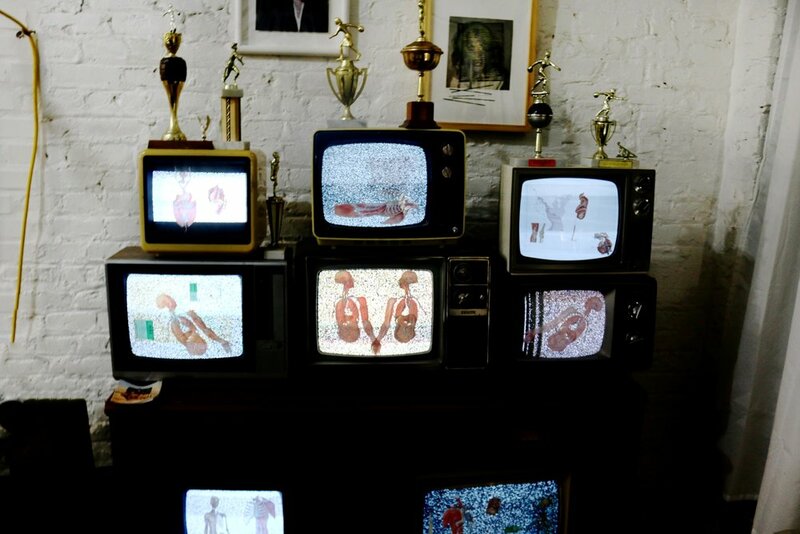 Morgan Lappin, founder of the BCC, is a collage artist himself whose works count tons of images, concepts, and stories. "One of my biggest influences is Terry Gilliam," he tells Blended when asked who his greatest inspiration is. Terry Gilliam, an American-British director, filmmaker, and animated collage artist, is best known for his animated pieces and cinematographic work with the British comedy group Monty Python and movies like Brazil (1985) and Fear and Loathing in Las Vegas (1998). "He's the godfather of animated collage," says Lappin. Collage, as a very contemporary form of art, doesn't take that much credit, like painting or sculpting does. It's a trend that is increasingly developing, and there's a reason to it. 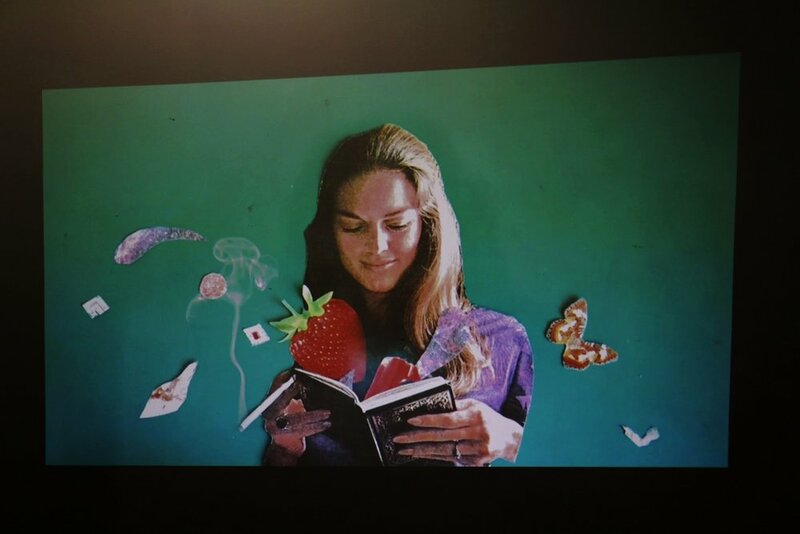 "Collage is a medium that is exploding right now because, for a very long time, books were considered sacred," explains Lappin, "because they were considered piece of knowledge. Now information can be found on the Internet." Since books are perceived as accessories today, "Books are becoming the reason why collage is a blooming medium," especially due to the loss of their pure prestige. These days it's easier, more accessible, and less frowned upon to cut magazines and books into pieces that create an object of new art. In general artists claim that art is a deeper way of communication, entwined with healing and reflective processes. Whatever the medium is, the artistic outcome is always the result of a meditative process. Collage is a great medium for expressing feelings, not only because it requires some discipline and structure, but also because, "It's like water, it’s very flowing," describes Morgan. "It's very therapeutic for me, too." Collage is not a simple and basic form of art where random pieces all come together. Various tools and materials are used, from scissors to knives, from paper to plastic. There are different types of collages. "You'll never find a collage artist that has the same procedure of another collage artist because there's so many variables that can be changed and thrown around to get to the same place in collage. Everyone has their own way of getting to the same point through different paths," Lappin explains. Essentially, the BCC's Website/Online Shop Launch Show is an occasion to see both different methods and artists, within a creative and supportive space.